I've started to get into romantic suspense books in this last year. The fast pace of the story and the suspense really keep me turning the pages. I started hear wonderful thing about Lynette's books, so when I saw she had a new book coming out, I jumped at the chance to read it. It hooked me right from the beginning. I had it finished in under twelve hours. 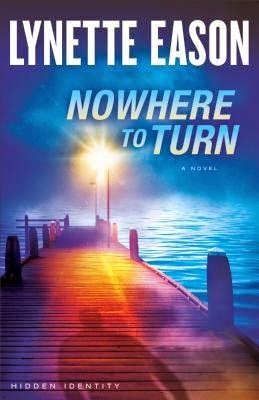 Nowhere to Turn is a book that isn't as it seems. It takes twist and turns leaving you questioning where you are going on this ride. Who you think you know doesn't always turn out who you think it is and there were some very interesting surprises at the end. Dani is a woman who has what seems on the outside as a wonderful life, she has a beautiful home, a husband who is very "attentive", a sweet and obedient son. In reality, she has lived a nightmare her whole married life. Her husband has separated her from her mother, beat her, and keeps track of her every move and miles driven on the car, and uses their son as a pawn to keep her under his control. And Dani has had enough of it. In a bold move, she runs with her son. However, trying to get away from her husband's brother proves almost as difficult as getting away from her husband. In a turn of unexpected events, Dani's sociopathic husband is killed. All she wants to do is offer her son a normal life, away from fear and threats, but it soon becomes obvious that that dream is still a dream when her brother-in-law decides Dani needs to be his...to finally beat his brother. Dani can't catch a break. The reality of her situation was heartbreaking and very real. Lynette is able to fully capture the desperation in Dani. You want Dani to be able to break free. You cheer and then yell, "NO!" when something comes up. This book, my goodness, did not stop. The pacing and the twist and turns made it so hard to put down. 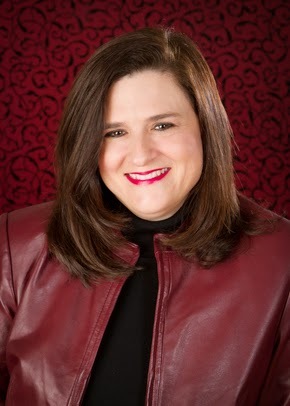 Lynette Eason is the bestselling author of the Women of Justice series and the Deadly Reunions series. She is a member of American Christian Fiction Writers and Romance Writers of America. She has a master's degree in education from Converse College and she lives in South Carolina. Find out more at www.lynetteeason.com. Thank you to Revell Reads, I received a copy of this book for free in exchange for an honest review.